All of us own T-Shirts, what prompted us to buy the T-Shirts that we own? Sometimes, we own custom T-shirts, for example Class Tee-Shirts, or Tee-Shirts given by our companies for corporate events. Sometimes, we buy certain Tee-shirt because the message is appealing to us. 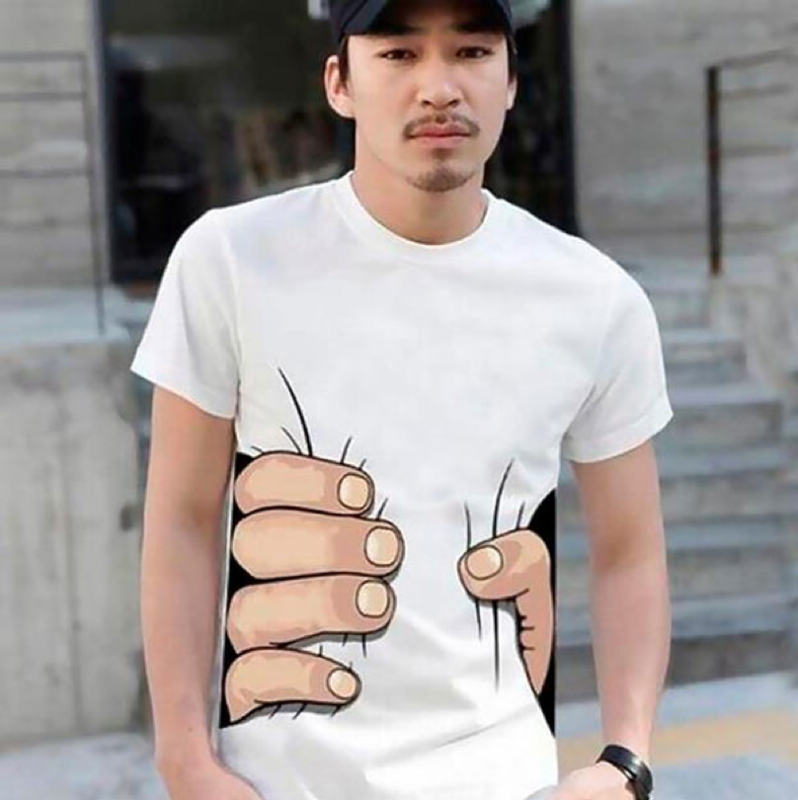 If you are thinking of printing your very own custom t-shirts with a tshirt printing Singapore company, we have listed some unique custom t-shirts for you to get some inspiration. Let’s move on! Lo and Behold, the Chalk board tee! Fancy telling the world a message? Feel free to customise your own message on your tee! The Chalk Board Tee even comes with a set of coloured chalks for you to set your creativity on fire. Wash your Tee and you are ready to write a new message. This fun concept makes a nice gift for your friends and kids. Want to take it up a notch? 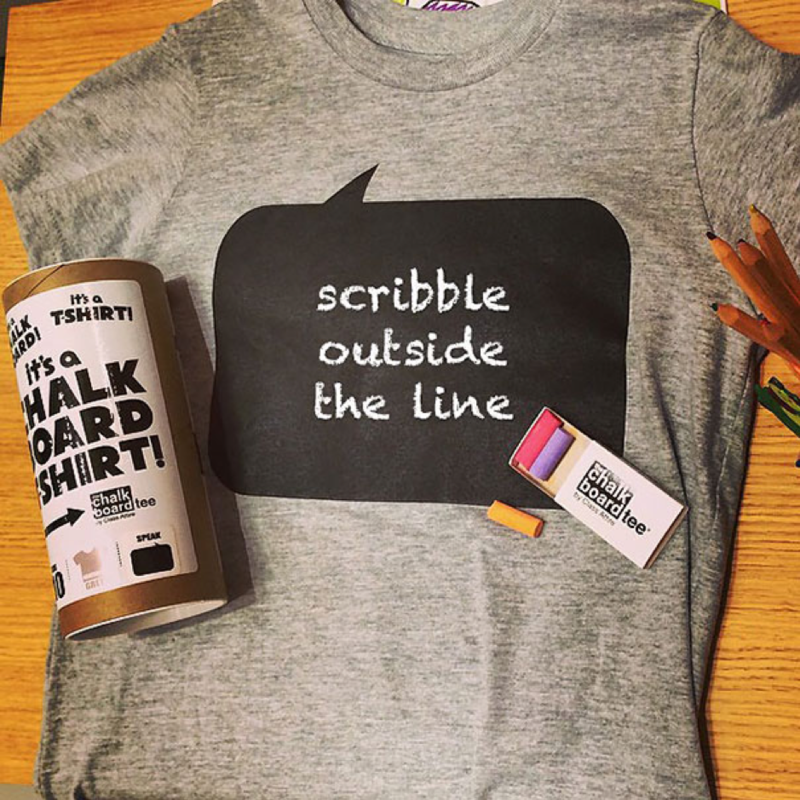 Design your very own chalkboard area and background and custom make your own chalkboard tees! Talk about a simple but eye catching design! 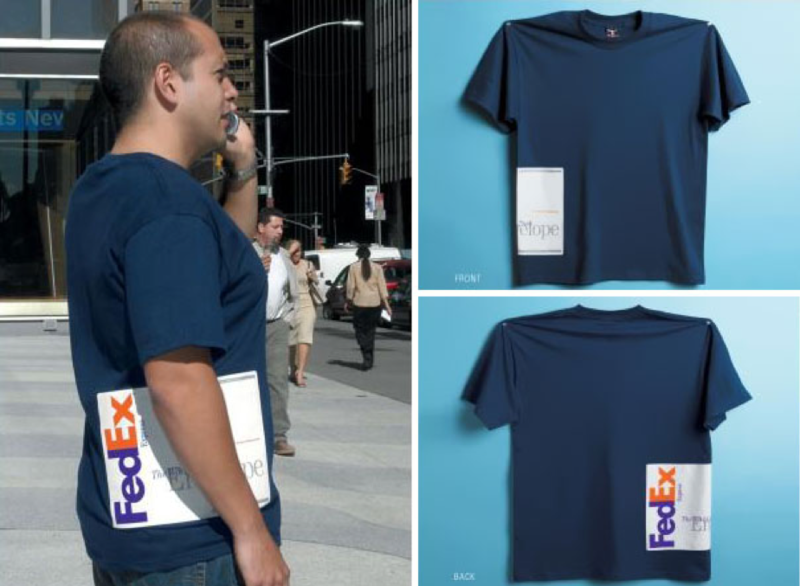 This guy looks like he is holding a FedEx parcel on his side, but it is actually just a print on the shirt. This is visually interesting and eye-catching, certainly a different way of marketing! Some clothes aim to provide a slimmer silhouette by making the side panels of a garment black, or have cuts in for a more flattering shape. The tee-shirt literally just helps to squeeze the waist and makes it looks smaller. What other optical illusions can you think of? 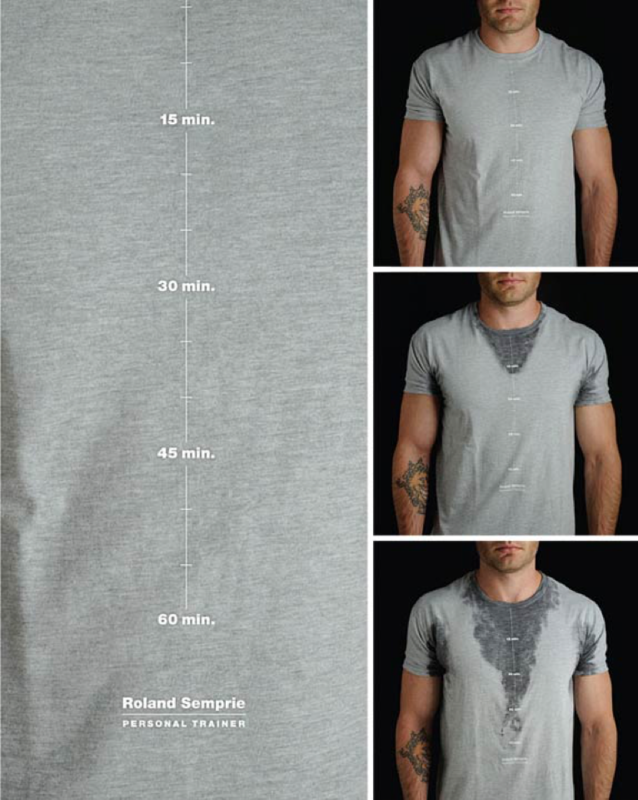 Designed by an advertising company for a personal trainer, this tee shirt allows both trainer and trainee to see how hard they’ve trained by the amount they’ve sweat! This is such a smart and functional idea and we are truly impressed. Indeed a custom made print that combines both function and ideology perfectly. Present this idea to the design team of tshirt printing Singapore companies, to come up with a design with a similar concept! 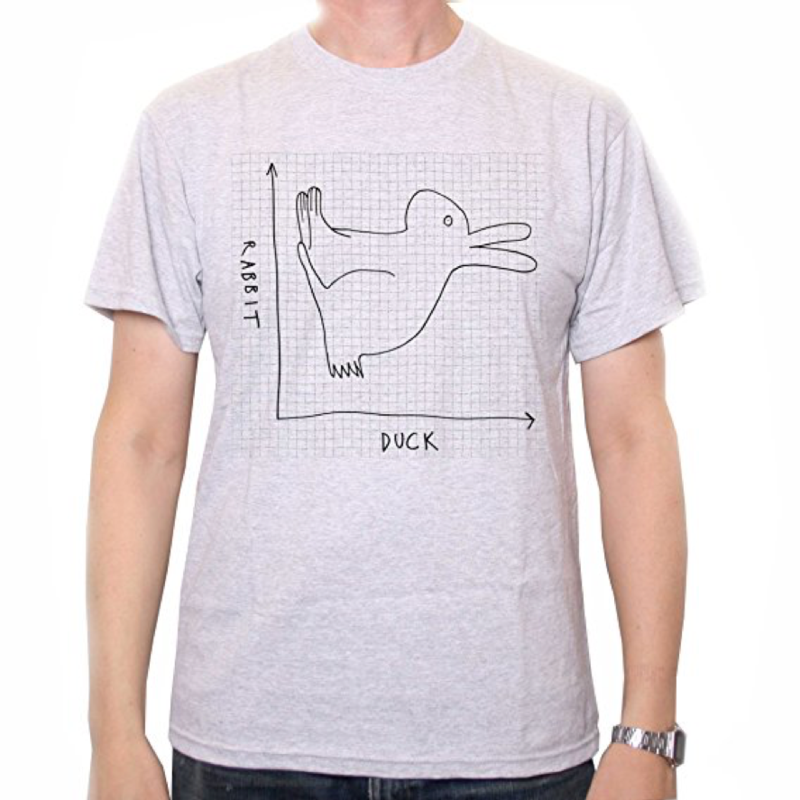 Look at this from the front, and you will see a duck. (Focus on the rabbit’s ears, those are the beak). Tilt your head and you will see a rabbit. (Focus on the beak, which is the rabbit’s ears). This first of such duck-rabbit design originally appeared in a German humour magazine in 1892. Till date, this is still interesting and relevant. Custom make this design on any apparel, wear this to an events and get the ice-breaking started! Custom T-shirts with messages that makes us guffaw is always popular, either for a casual outing or for a friend as a gift. Feeling a bit tired and sleepy? Need more time than usual? 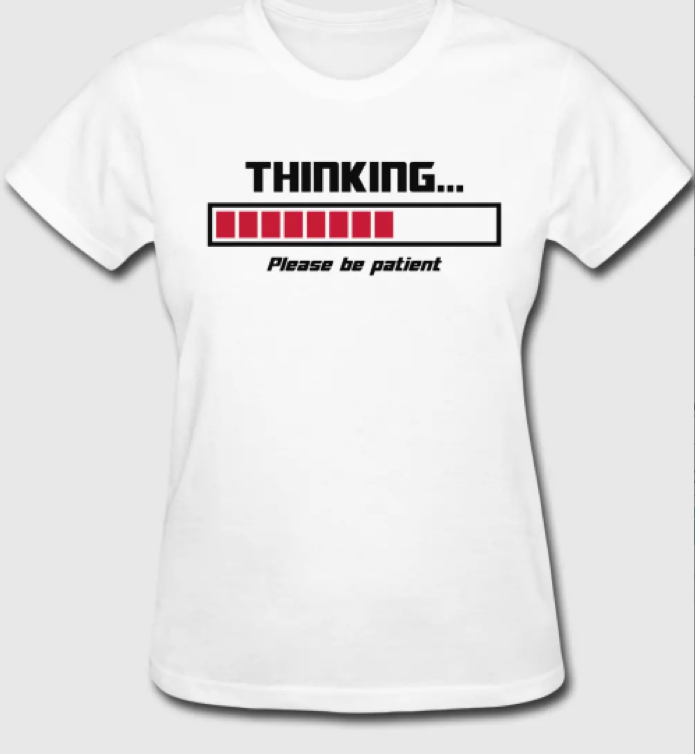 Wear this Thinking T-shirt and your friends will excuse your lag in reaction time. Need people to stop asking you about your job? Frustrated with work? Or simply trying to be funny? This shirt is so charming and funny that when I posted this on Instagram, my friends asked me to get them one as well! Custom make your own design with this cute slogan, it is bound to be a hit! 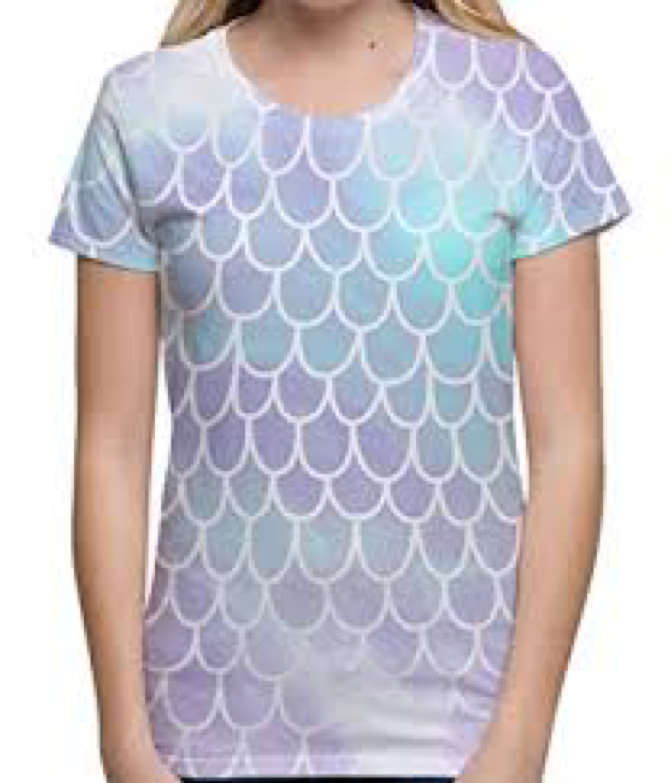 Sublimation tee shirt allows you to create any design, and it is especially useful for designs that covers from edge to edge to create a visually impactful design! We find this mermaid scale print very adorable and suitable for both kids and young ladies. Fancy dressing like NEMO or looking like a zebra? You can custom create your own sublimation prints for all festivals like Halloween, Christmas and New Year! This is a picture of a boat sailing across the river, causing ripples in the river. 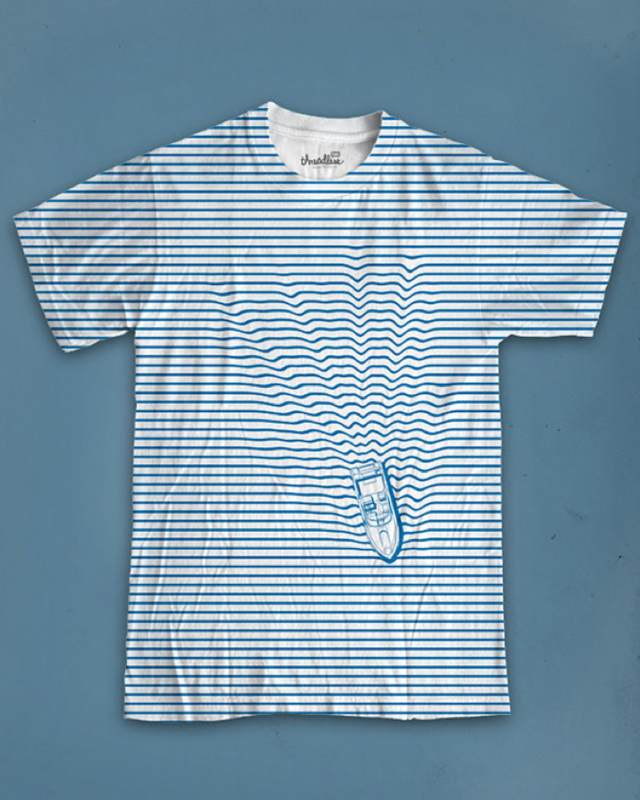 Visually interested and something different from the usual striped tee-shirt, choose to wear this for a fishing trip or on a yacht. Create your own custom print, how about frogs leaping across the pond or swans floating on the lake? You’ve better be good or you will be handcuffed! Shock others behind you by misleading them into thinking that you are a BAD BAD criminal. 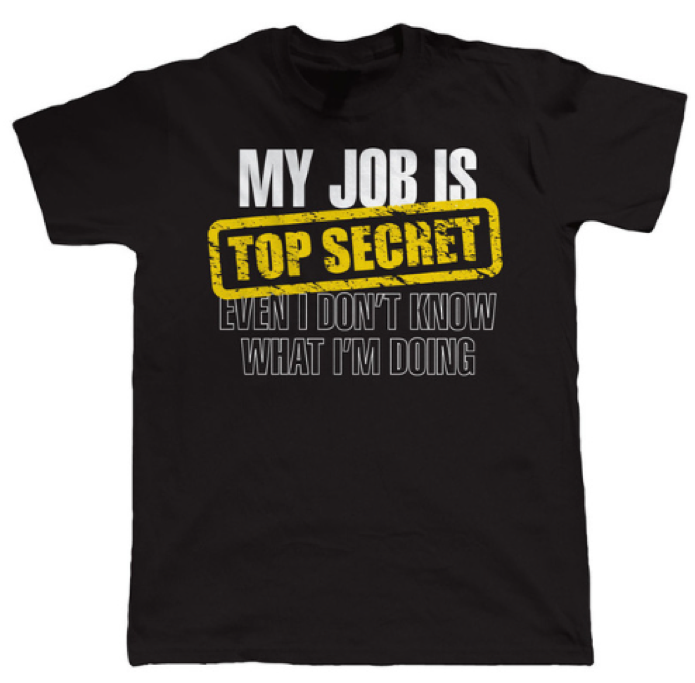 Getting your very own custom T shirt with your very own interesting design can be a very fun and rewarding experience! You can do it for yourself, for your team and even as a gift. Besides normal Tee-shirts, you can also consider doing a custom print on Under Armour Singapore or Adidas Singapore Apparel: good quality fabric will help your design to look better and last longer! 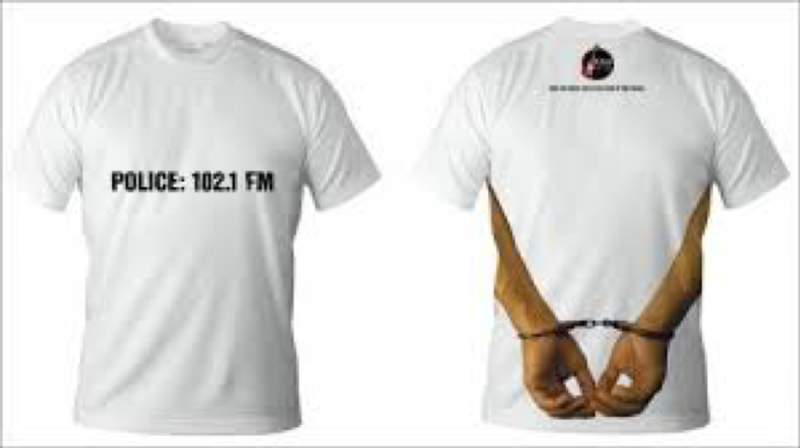 If you have an idea of what you want to achieve with a tshirt printing Singapore company, but not sure how to get there yet, do contact us at +65 63520988 or send us a message below for a discussion!